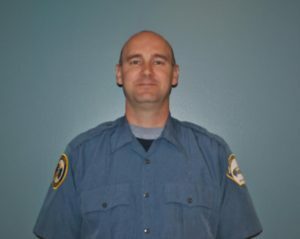 Aaron Gagnepain has been a full time paramedic with Taney County Ambulance District Paramedics (TCAD) for the past three and a half years. Aaron comes to TCAD with several years of military experience, both ground and air medical civilian experience, and experience providing EMS education across our region. Aaron routinely demonstrates a sincere dedication to the profession, providing excellent patient care and impeccable documentation. Aaron teaches, coaches, and mentors both new and experienced providers. Aaron has shown a high level of self-awareness and maturity, making difficult decisions that positively impact patients’ lives. Aaron is always striving for improvement and displays a willingness to help make those around him better. Aaron is a role model for his fellow providers and in 2016 was voted by his peers as Paramedic of the Year. TCAD Paramedics is proud to name Aaron Gagnepain as a Stars of Life nominee.